Here’s a complete step by step guide on how to disable automatically playing app previews in the new iOS 11 App Store. 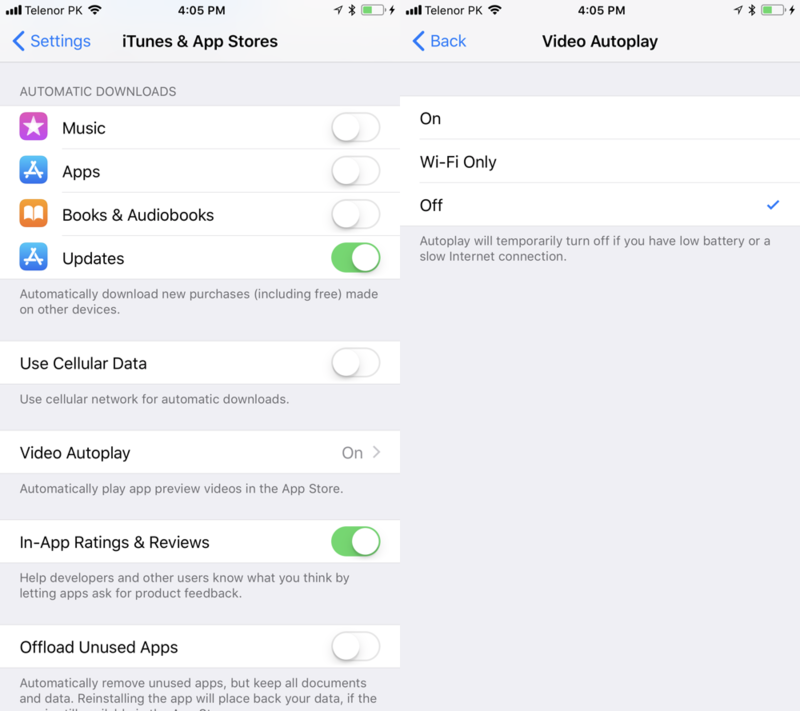 Disable Video Autoplay for App Previews in iOS 11 App Store to Save Precious Data. The App Store was destined for a major overhaul, and Apple delivered on that front with the release of iOS 11. It makes the process of going through apps and previewing them a very, very exciting prospect. Apple even went through the trouble of enabling video previews by default, so you don’t have to intervene in order to check them out. These previews are little video snippets that show what you can expect from the app or game once you’ve downloaded it. Call it a trailer of sorts, if you may. While the autoplaying previews are good and all, but it can prove to be a little taxing on your WiFi network or cellular data. Therefore it’s a good idea to turn the feature off since it is turned on by default. Follow the steps below and you’ll be up and running in no time. 1. Launch the Settings app from your iOS 11 home screen. 2. Scroll down and tap on iTunes & App Store. 3. Now tap on Video Autoplay. 4. Select Off and press the Home button to go back where you started. Launch the App Store, select any app that might have a video preview, and you’ll notice that it does not play automatically. This means you won’t strain your WiFi network or cellular allowance at all from here on in. But of course, you do axe the luxury of automatically playing previews. You can revert back to the original changes if you so desire. Personally, I find these app previews extremely handy as it gives me a huge insight into what I can expect after I’ve parted with my money. Obviously, everyone might not share the sentiments as I do.